“Polytron Penetrating Lubricant is for people who are looking for the best lubricant that can be obtained on the market to date. Polytron lubricants do not use any viscosity modifiers or solids in their products making it the best on the market. The penetrating lubricant can be used on anything that needs as little friction as possible to extend the life of the device. When you’re working on an old piece of machinery, you need a lubricant that will work with you. That’s one of the things that Polytron’s lubricants do. They’re designed to break down rust and corrosion. While the rust and corrosion are being broken down, it’s also lubricating and protecting the metal. The idea is to make the machine better protected after using a lubricant then it was before. Part of how it does this is by bonding to the metal where the friction is at. So if there’s one spot that’s always getting a lot of friction, the lubricant will bond to the metal at the place to make it slide easier naturally. It helps eliminate wear because of the reduction in resistance; it also reduces operating temperature and noise. So not all do you have longer lasting machines, but you have quieter more efficient tools. This is a win-win situation for business or a hobbyist who’s just looking to take good care of his equipment. For electrical equipment it cleans and retards electrical corrosion, increasing the life span of circuit boards and circuit breakers. This is a problem for anyone who’s working on machines that aren’t just machinery but also have electrical parts. For cutting tools, the edges stay sharp much longer, and the finish surface is smoother and cleaner. On top of all of the uses, Polytron Penetrating lubricant last twenty times longer than WD-40. The biggest con I see for this product is that with it lasting so long the company won’t be able to sell enough to stay in business. However, there are more uses for their products. I wouldn’t use WD-40 on my pistols because it’s too sticky. However, I’ve heard only good things from people who have used it on their guns. Since this can be used safely on guns, it’s also safe to use with chainsaws, fishing reels or that annoying hinge that keeps squeaking. For people who are looking for a product that will work in an industrial environment look no further. Polytron Penetrating Lubricant is up to the tasks that the industrial environment can give it. You can use it in motors, slides, and anything that needs low friction. It’s an oil that’s safe for home use and hardy enough for industrial purposes. Polytron Lubricants are 100% guaranteed pure petroleum based products. There are no solids such as Teflon or potentially toxic and environmentally unfriendly materials in Polytron products. Using Polytron products on your gun or machine won’t void any warranty that you have. Polytron Penetrating Lubricant isn’t changing the material or craftsmanship which is what the warranty covers, all it’s doing is reducing friction and helping the machine work better. Polytron’s products are environmentally friendly. This is a problem for everyone in today’s age, trying to be kind to our environment and making it better for the next generations. Polytron has made that a little bit easier by creating a product that’s good and environmentally friendly. They manage this by using a breakthrough in technology that’s proprietary to them. 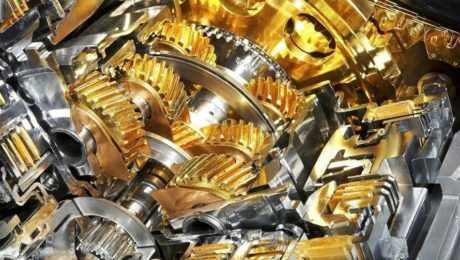 They’ve created a lubricant that actively works to reduce friction at the molecular level to improve the life of your car, gun, or high-end industrial machine. “Something that every handy person needs the best of is penetrating oil. Polytron is the best penetrating oil out there. It’s gentle enough to be used by the average homeowner and robust enough to be used by industrial machines. It doesn’t void warranties and helps improve the tools. Something that’s good for everyone, Polytron Penetrating Lubricant breaks down rust and corrosion. This makes your machines last longer; there aren’t any small particles left behind to cause damage to the engines. It’s also safe for the electrical equipment. It cleans and retards electrical corrosion so those sensitive circuit boards and circuit breakers will last longer. After using Polytron’s Penetrating Lubricant to clean your machines, it also protects them from moisture and helps protect against extra wear. Polytron has designed this lubricant to protect at the molecular level. Wherever there’s a lot of friction the oil binds to the molecules to create a slicker surface, reducing overall resistance. Because the lubricant reduces friction, it also lessens the amount of power consumption needed to do the same job. It also reduces operating temperature and noise of the machines, all of this results in an increased lifespan of your machinery. For your drilling or cutting tools, this lubricant helps them stay sharp much longer and helps give a cleaner and smoother finished surface. It lasts twenty times longer than WD-40 and is environmentally friendly. Polytron doesn’t use any solids or Teflon in their oils which means there’s no copper or any other sort of toxic material. You’re getting a double positive with their products; you’re taking better care of your machines and helping the environment. “I have nearly 500,000 hard driven miles on my 1978 Dodge pickup. Over the years I’ve used just about every kind of motor oil and I’ve also tried the different fuel additives that promised a lot of hype they never delivered. I’m easy, so I try everything I run across. I try it at least once, always with the hope that this time, I’ll get what I’m supposed to be getting for my money because I work just as hard as my old Dodge does. I hadn’t heard of Polytron Fuel Conditioner, or I guess they call it Polytron GDFC. But a month or so ago I was in my neighborhood auto supply store getting new windshield wipers. The guys who are supposed to know say we’re expecting a hard winter this year, and besides, our hot dry summers do more damage to the wiper blades than the rain and snow do in the winter time. I know Andy well enough to know he wouldn’t go out of his way to tell me something unless he knew what he was talking about, so that evening I got on the Internet and looked up Polytron. There it was! Polytron Fuel Conditioner, Oils and other products too! And frankly. I liked the part about how I’d get better mileage and performance along with higher compression with this additive that also worked at cleaning all the engine parts wile I drove. It promised quicker starts in winter. Winter hasn’t quite got here, but considering what I’ve experienced so far, I expect Polytron Conditioner to deliver on that promise too. I noted it was fully compatible with all fuels and would not violate any warranties, so I decided to follow their advice and started using Polytron motor oil together with my fuel additive. I only use about two or three ounces with every fill-up, so the cost doesn’t really bite me. Another great feature I hadn’t expected was that my old Dodge really does have lower emissions and I no longer see that smoke I was constantly getting less than a year ago. And it didn’t take months either! Just within an hour or so, the smoke had completely disappeared. At first I thought it was just a fluke and expected it to be back in a few minutes, but that was the last time I saw that smoke adding more pollution to the atmosphere. But I’m the kind of guy who likes to know all about what I’m using, especially when a company makes a lot of big claims for its products. Well, I quickly learned to my great satisfaction that Polytron never adds solid additives as many other brands do. Often the volume of a container has anywhere from fifteen to twenty percent of unappetizing and potentially harmful solids or other worrisome additions such as Teflon, asphalt along with other compounds most of us would never want to pour into our precious engines. When that vehicle fails to start, most of us are in real trouble and nobody wants to put stuff into the engine that can shorten its life or even ruin it. I learned that Polytron hangs in there when the engine is turned off too, saving a lot of extra wear and tear on that baby. I can honestly say that Polytron has proved itself to be a real diesel fuel conditioner. Even despite some of the poor quality diesel fuel I’m sometimes forced to buy due to my remote location, it keeps my old Dodge running smoothly as a new truck. The company claims to have gone through a great deal of high quality research in their quest to create a better diesel additive to keep your engine in top running condition, and I believe they’ve achieved that goal. “It is very horrible to imagine that machinery operated without grease in it, in the present scenario we can see that, executing any work is very easy because of machinery but for the maintenance of machines it is very important for the industrialists and business owners to maintain the life of machinery which is only possible with the help of good qualities lubricants.Machines which are used for the constructions, roads making, agricultural machines are very costly one cannot invest money again and again in the machines for this reason maintenance of them is very necessary and important for the business owners and for who operate them. In order to find best lubricant industrialists or business owners can purchase Polytron EP2 grease for the machinery maintenance because of its reliability and stability. If you want to expand your business on a large scale then first you need to expand the life of your machines so that better outcomes can be generated from the business. A good stuff of machines also attracts lot of customers toward the company; machines are made from iron but good quality lubricants makes them valuable and workable. 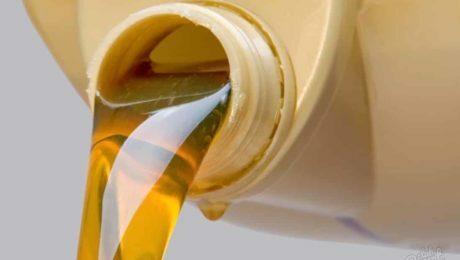 High wearing workload machines can be maintained with the help of excellent quality lubricants like grease. It is observed that heavy machinery undergo with the toughest conditions like, mining, deep-sea, rock quarry, agriculture, drilling etc. 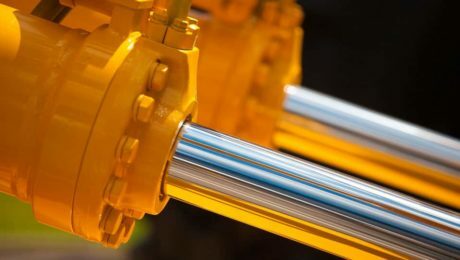 in order to reduce pressure from machines PLYTRON EP2 lubricants can be used because it reduces or minimizes the high pressure during the workload. While on the other hand it also increases the reliability which gives you relaxing mind; EP2 grease mostly used by the industrialists because it gives high performance and also increases the life of machineries. “POLYTRON EP-2 Best lithium grease: Polytron EP2 is the best lithium grease which maintains the wide range of temperature of machines. For making it quality base oils, lithium complex soap is sued while on the other hand anti wear grating and high quality scientific engineering is also used which makes it water resistance or rust protection. Amazing and unbelievable results are achieved by the Polytron EP2 grease almost in every area like industrial or commercial. EP2 lithium grease always possesses high temperature features, extraordinary stability and properties of water resistance. High quality benefits are listed. Electronic motors of NEMA used Polytron EP2 grease for its insulation class of A and b types. EP2 grease always maintains the durability of machines and does not soften easily even in high speed. EP2 grease is used in trucks, boats, passenger cars, railroads etc. It is also used in Pinion gears, U-Joints, drilling machines, rack, joint bushings etc. Polytron EP2 grease is used in steering system, fifth wheels, wheal bearing, cables, chassis bearing, slides, roller chains etc. What you can expect from EP2 Grease, General Grease: Some are very important result you can expect from EP2 grease which are listed below please have a look. By using this general or EP2 grease you can minimizes the cost of maintenance by up to 60 percent. Cost of wear can be eliminated by up to 95% which no other lubricants will give you. Under pressure excellent result you will get, it also maintains the temperature of machines according to the conditions. You will get water protection. Noise during the operations will be lower. It also protects the equipment’s from high pressure and contamination. Polytron EP2 grease helps in increasing the durability of machines. 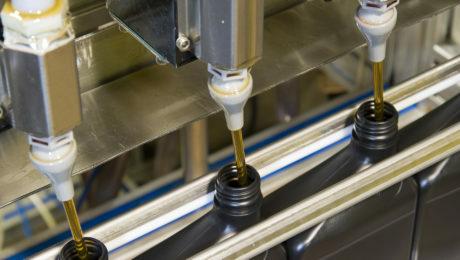 EP2 grease is mostly preferred and used by the mechanics in order to enhance the life of machines. “I recently had to make a switch after my classic car experienced catastrophic engine failure. Apart from the heartbreak of seeing my pride and joy nearly reduced to scraps, I was out thousands of dollars. After licking my wounds and nursing my bank account back to good health, I set out to make sure that something like this didn’t happen to me again. I love my car and have kept her road worthy for decades, but unbeknownst to me, I was living in a fool’s paradise. Simply put, the regular oil changes just weren’t enough. I needed to invest in an oil additive that would help to keep all of my car’s moving parts, well, moving. What I found was Polytron, a company whose approach to engines and engine maintenance is unique. The Polytron label meant innovation and a focus on not only doing things better but doing things differently. For my beloved classic, I chose Polytron MTC as an oil additive. What follows is my review for Polytron MTC, one of the shining stars in the Polytron family of products. 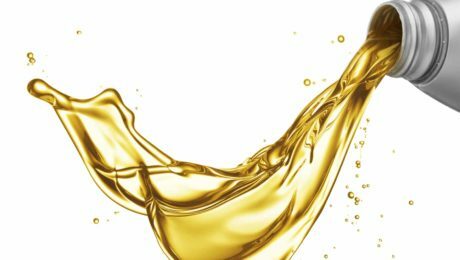 What makes Polytron MTC (Metal Treatment Concentrate) different from other oil additives? 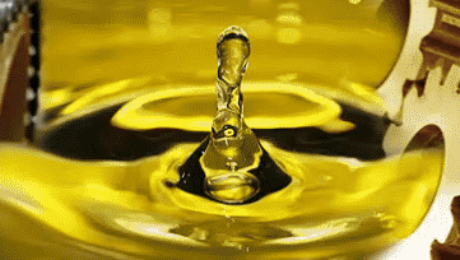 Most oil additives focus on treating the oil. They use solid fragments, Teflon, boron, or other modifiers to change the viscosity of the oil. Only Polytron concentrates on the thing that matters most to you. The engine Polytron MTC creates a thin, polish like layer on the metal surface of the engine, protecting the motor itself from wear and tear. The surfaces remain “treated” even if the engine’s lubricant isn’t in contact with parts in motion. This microlayer is especially useful during cold starts. The benefit to you? A reduced risk of catastrophic engine failure, even in the event of a sudden loss of lubricant. From your perspective the process is simple. Add 10% by volume to your system’s primary lubricant. 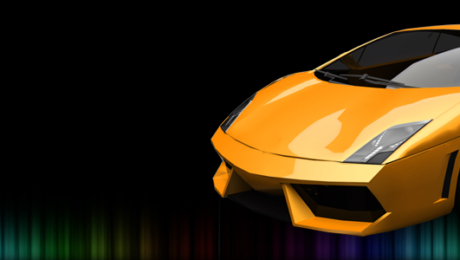 Polytron MTC is compatible with all motor oils and works in most motors. Polytron MTC is formulated to undergo a metallurgical process within your engine to provide a stronger, smoother, heat resistant surface to all of your engine’s surfaces and moving parts. The result is a smoother ride and lower internal engine temperatures. Polytron MTC resists extreme heat, cold, and stress, reducing the impact on your engine by as much as 95%, making it the best engine treatment on the market. That’s enough of a reason for me to personally endorse the product, but there is more. Polytron MTC is an excellent dispersant, extending the life of my filter and dispersing build up from previous products. The unique patented formula holds sludge in suspension and prevents the build up of varnish and carbon deposits. My first oil change after using this product was surprisingly dirty, but my mechanic assured me that with continued use, I would see improvements. He proves as good as his words, and by the third oil change my oil was coming out clean. That is a difference that you can see. When it comes to performance, there is no such thing as a magic bullet, but if there were, Polytron MTC would be it. The shifting between gears is much smoother than it used to be, and I haven’t had to clean the sludge out of my engine in months. I simply add it during my routine oil changes and drive. Users have found that older engines were revitalized after adding Polytron MTC to their regular maintenance routine. Others report avoiding transmission failure all together. Although most people I know use this product in their vehicles, it’s usefulness is not limited to trucks and cars. Polytron MTC can be used in conjunction with cutting oils, hydraulic oils, way oils, and gear lubricants. Regardless of the application, the superior protection of Polytron MTC remains the same. Just add 10% by volume and watch it extend the life of your equipment and protect your investments. This 1000KVA Cummins Generator driven by 1,800 horse power engine was in service for more than 30,000 hours. According to the manufacturer’s instructions, oil and oil-filters had to be replaced every 250 hours. We started using Polytron after the generator was in service for about 5,000 hours. Within a very short time of using Polytron MTC and Fuel Conditioner, we experienced an average of 10% reduction in fuel consumption. Based on used oil analysis we decided to extend the oil change intervals to every 1,000 hours and then to every 1,500 hours. Typically, this type of engine is overhauled after 17,000 hours in operation. In this specific case the engine was taken apart after 30,000 hours not because it had to be overhauled but because of penetration of water into its oil system. In spite of the water, there was no indication whatsoever that the engine was deteriorating in performance. Nevertheless, after 100 hours in operation with water presence in the oil system, the general manager of the quarry decided to take the engine apart. “I have seen too many times what presence of water in the oil system can do to an engine, I don’t want to stretch my luck” was his answer when Polytron distributor told him not to worry. The general manager of the quarry was very impressed when he was told by the head mechanic in the repair shop that the engine parts looked new and that he thought that there must have been a mistake in the paperwork, because the condition of the engine parts didn’t have any indication whatsoever that the engine was in operation for 30,000 hours or water penetrated the oil system. The Quarry manager was so impressed by the findings that he decided to invite the local distributor and the US manufacturer to produce a video-tape of the engine parts to use as a reference with his high recommendation for Polytron products. “As you know, we have been incurring serious maintenance problems with our fleet of 200 transit-cab vehicles. On average, we have had 13 cabs per day in for an engine overhaul or replacement. “We then tested your Polytron MTC in nine of our units. To say the least we are quite pleased with the results. Before adding Polytron MTC, the compression reading of each vehicle was taken and found to be between 90 and 150. All had engines with problems or expected to have a maintenance problem in a short time, with poor performance and fuel consumption. 1. Compression readings ranged between 149 and 154 (Note, 154 is equivalent to that expected from a brand new engine). 2. Increased power and performance were reported by the drivers. 3. The Polytron MTC treated cabs ran quieter and smoother. 4. The average operating temperature was reduced by 20 degrees (190 to 170). 5. Drivers reported mileage improvement. 6. An engine treated with Polytron MTC was disassembled and inspected. It was found clean, had no build-up, and the surfaces appeared to be polished. “Since using Polytron MTC we haven’t had one engine go down. When considering these vehicles are driven an average of 500 miles per day , under the most severe of conditions, the results are nothing less than remarkable. Within the first 6 weeks of using Polytron MTC, on the average we had only one vehicle in the repair shop per day. We had one vehicle lose all its oil at LAX. The driver was unaware of the situation because the oil pressure light was not working. He drove back to our Van Nuys facility without incident. Our mechanic after noticing that there was some oil dripping, found that the oil pan was slashed and there was no oil. The pan was replaced, new oil installed and the engine started right up. This vehicle is still in daily operation. The performance gets better and better with mileage until it reaches peak performance. Operation – Special Grooving O.D. ; Material – 52100 Die Tool Steel; Coolant – Oil Requirements – Must hold tolerance of 0.0002 in on diameter and 64 microns in on finish. Customer usually maintained these parameters for 1 shift – 8 hours – 2’200 pcs. 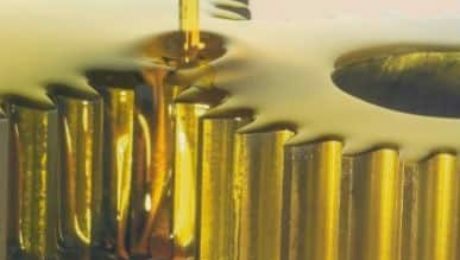 After applying a few drops of Polytron Penetrating Lubricant on the cutting edge of the Carbide tip, we cut metal and held all parameters for 2.5 shifts – 20 hours – 7800 pcs +. b. Aluminum Brake Piston Parts. Material – Cast Aluminum. Operation – Drilling. Tool used – #64 drill, tin coated. With coolant customer normally ran 2’800 to 36’00 holes before the drill would dull. After spraying the drill with Polytron Penetrating Lubricant, 8600 holes were drilled without using coolant. Now Polytron Penetrating Lubricant is used on all drilling, tapping and turning. c. Aluminum Rails for Packing Conveyor. Operation – Side Milling. Part – 86” long. Problem – excessive buildup on tool. Operator would have to stop every 12” to 18” to “knock off” or remove material that welded or galled to the cutting tool. After spraying Polytron Penetrating Lubricant on end mill, the operator machined 4 pcs (total of 344 inches) with minimal buildup and also a 30% increase in production.